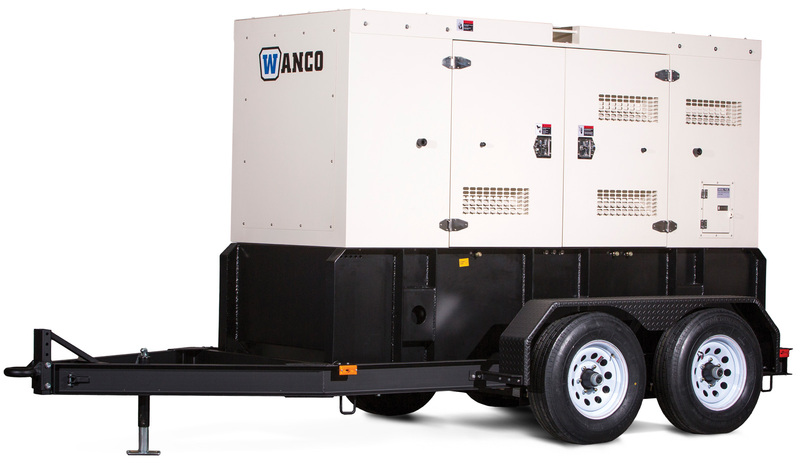 WSP-Series Trailers & Skids - Wanco Inc.
Wanco Mobile Generators provide a cost-effective solution for continuous industrial applications. Every model features robust construction for reliable performance, a digital controller for monitoring and paralleling with continuous operating data on an easy-to-read display, and environmentally friendly features that include a dual-containment fuel cell and containment basin. Every model is available as a skid-mount or on a trailer. Deratings: Ratings apply for altitudes from sea level up to 1,000 feet (305 meters) with typical cooling, normal ambient temperature and gasoline fuel. Reduce ratings 3.5% for each 1000 feet (305 meters) above sea level and 1.0% for each 10°F rise above 60°F (5.6°C above 15.6°C).